If you think pink slime is awful – which it is, of course – and that arsenic in baby food, cereal bars, rice and even chicken is an outrage, here are seven more nasty items lurking in your local supermarket. The toxic, flame-retardant chemical brominated vegetable oil or BVO was first used to keep plastics from catching on fire. However, the food industry has been using it in sodas, juices and sports drinks to keep those artificial flavoring chemicals mixed in with the rest of the liquids. You’ll find it in drinks such as Mountain Dew, Fanta Orange, Sunkist Pineapple and Powerade. BVO has been linked to skin lesions, memory loss, and nerve disorders. You’ve probably wondered if that candy with those wacky bright colors is good for you. It’s not. Many of the artificial food dyes found in everyday foods, including candy, are made from petroleum-derived materials. Kids love those “fun” colors in their cereal and candy, but food dyes are also used in hundreds of supermarket foods. They are harmful: orange and purple food dyes have been shown to impair brain function, while other dyes have been linked to ADHD and behavioral problems in kids. Of course, companies don’t care because it’s cheaper for them to use those fake dyes than it is to use real ingredients. Here’s a sobering fact: the FDA legally allows up to 60 percent of canned or frozen blackberries and raspberries to contain mold; 15 percent mold is the limit for canned fruit and vegetable juices. It’s true that it’s perfectly fine to eat some food when it starts to grow mold, but you should toss soft fruits and vegetables, since they may have mold growing below the surface. 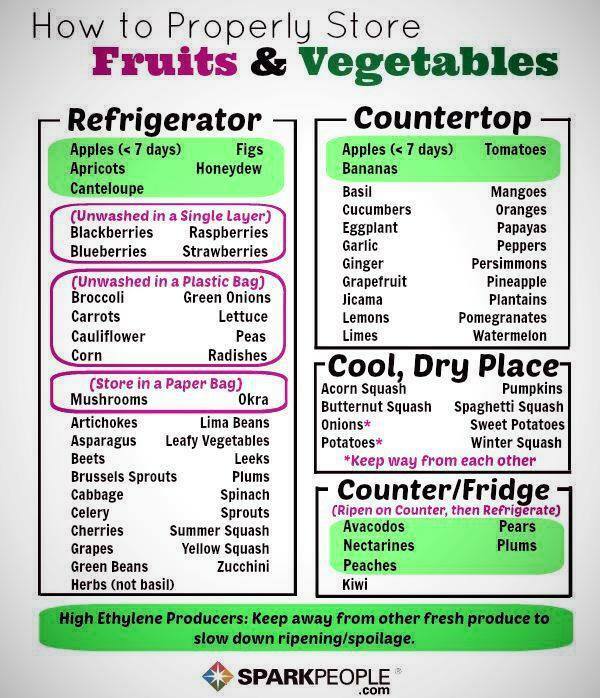 Also, because mold spreads quickly in fruits and vegetables, check nearby foods in your produce drawer. Perhaps you didn’t know that your salad dressing may well contain titanium dioxide, which is a component of titanium, a mined substance that is sometimes contaminated with toxic lead. This chemical is widely used in paints and sunscreens, but Big Food also adds it to lots of things we eat, including processed salad dressing. They do this to make dingy, overly processed items, like your salad dressing, appear brighter and whiter. Ah, the wonders of modern technology: today’s cows produce double the amount of milk they did just 40 years ago, and that’s mostly because of a genetically engineered, synthetic hormone called recombinant bovine somatotropin, or rBST, that helps them along. This synthetic hormone is banned in many other countries because it has been linked to prostate, breast and colon cancers. However, it is still legal here, although many dairies are being pressured to abandon it. Beware of the supermarket meat department! Grocery store meats are commonly infused with nasty extras, including staph bacteria, and especially the hard-to-kill, potentially lethal MRSA strain. A study published last year in the journal Clinical Infectious Diseases found that half of grocery store meat tested positive for staph bacteria. MRSA kills about 19,000 people a year in America. Imported shrimp is on the Monterey Bay’s Seafood Watch List as “avoid” at all costs. Less than two percent of all imported seafood is inspected, which is a huge problem. As a result, imported shrimp often contains antibiotics, cleaning chemicals used in farmed shrimp pens, residues of toxic pesticides banned in the U.S., and pieces of insects. Domestic shrimp would be the answer, except that 70 percent of domestic shrimp comes from the Gulf of Mexico, and the recent oil spill has made us all wary of eating that. Instead, try buying shrimp from Texas, the East Coast, Maine and the Carolinas. The obvious solution to all these nasty items: avoid processed food, and stick to organic produce as much as possible. Not to mention, if you are buying processed food, always check the ingredients. Judy Molland – a blogger with Care2.com – is also the author of Get Out! 150 Easy Ways for Kids and Grown-Ups to Get Into Nature and Build a Greener Future, and winner of the Mom’s Choice Award and Benjamin Franklin Award. Avoid : Food additives have been used for centuries to enhance the appearance and flavor of food and prolong shelf life. But do these food additives really “add” any value to your food? Food additives find their way into our foods to help ease processing, packaging and storage. But how do we know what food additives is in that box of macaroni and cheese and why does it have such a long shelf life? A typical American household spends about 90 percent of their food budget on processed foods, and are in doing so exposed to a plethora of artificial food additives, many of which can cause dire consequences to your health. 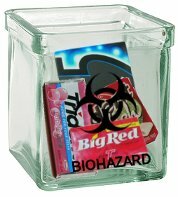 People do not typically ingest gum, so they pay very little attention to its ingredients. The assumption is that if the gum is not swallowed, then the ingredients should not be a concern. However, the ingredients in gum travel into the blood stream faster and in higher concentrations than food ingredients, because they absorb directly through the walls of the mouth, and these ingredients do not undergo the normal filtration process of digestion. Gum is typically the most toxic product in supermarkets that is intended for internal use, and it is likely to kill any pet that eats it. Commercial gum products contain roughly the same list of toxic ingredients, with differing labeling, which is virtually always designed to mislead. Titanium dioxide is so cancerous that external skin contact is enough to cause cancer. Be reminded that all of these ingredients absorb directly into the blood stream through the walls of the mouth. Some of these ingredients are explained in-depth, because it is prudent to correct the myth that chewing gum is harmless and even good for you (e.g. “it strengthens the teeth”). 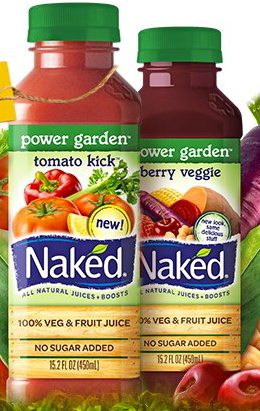 NEW YORK (AP) — PepsiCo Inc. said it will no longer label its Naked juices as being “all natural,” after a lawsuit complained that the drinks contain ingredients that don’t fit that bill. The company, based in Purchase, N.Y., also agreed to pay $9 million to settle the lawsuit. In an emailed statement, the company said it uses an “added boost of vitamins” in some of the drinks. But a lawsuit filed against the company noted that the vitamins are actually synthetic ingredients, including a fiber made by Archer Daniels Midland. PepsiCo did not respond when asked whether those synthetic fibers are in fact included in the juices. The company’s statement said it will drop the use of the word “natural” until there is more regulatory guidance around the world.